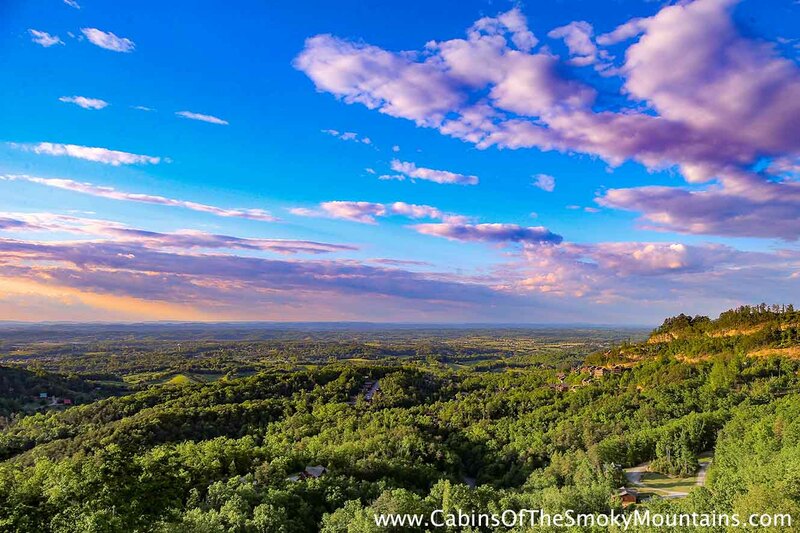 Are you ready for the vacation of a lifetime? 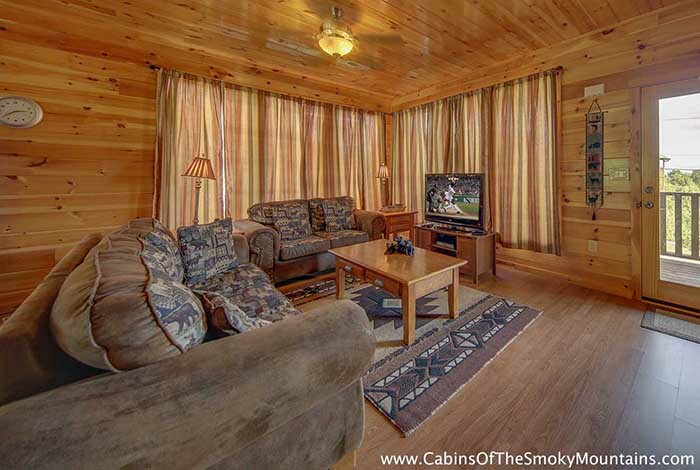 Get ready to experience the beauty and majesty of 6 Suites Lodge! 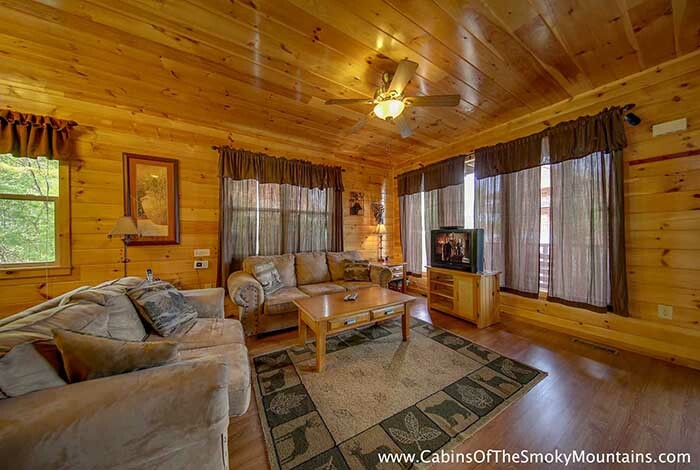 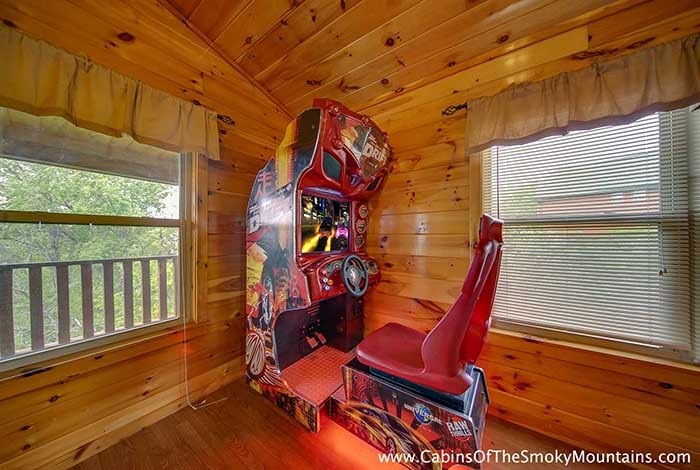 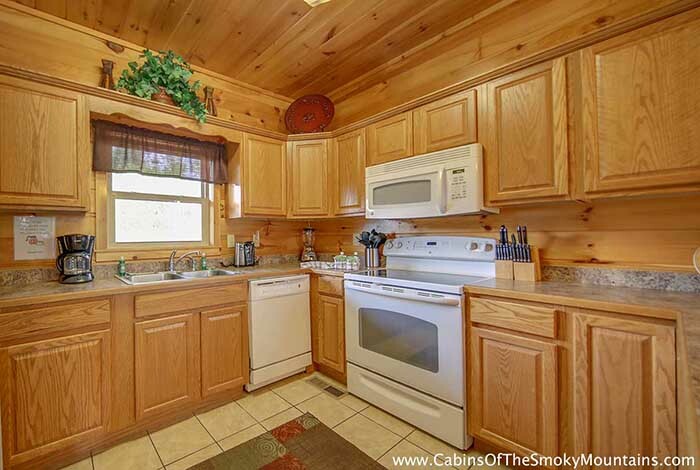 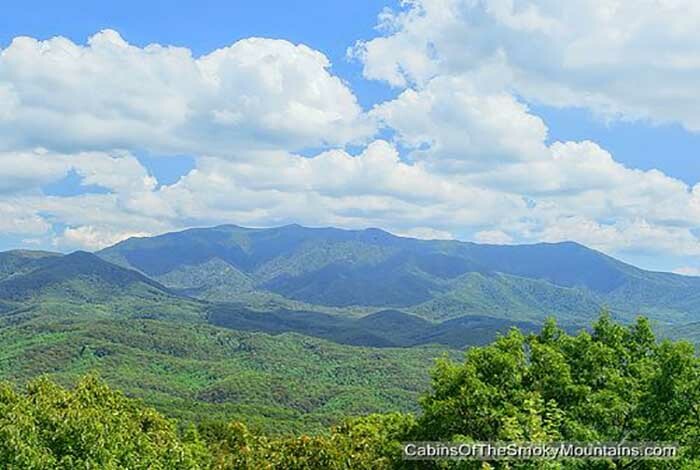 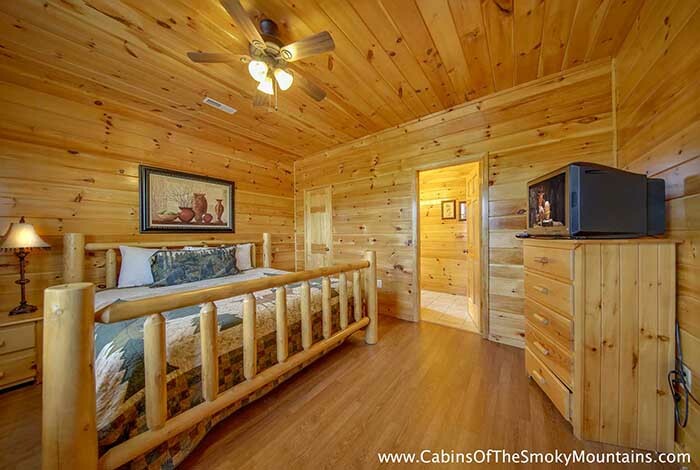 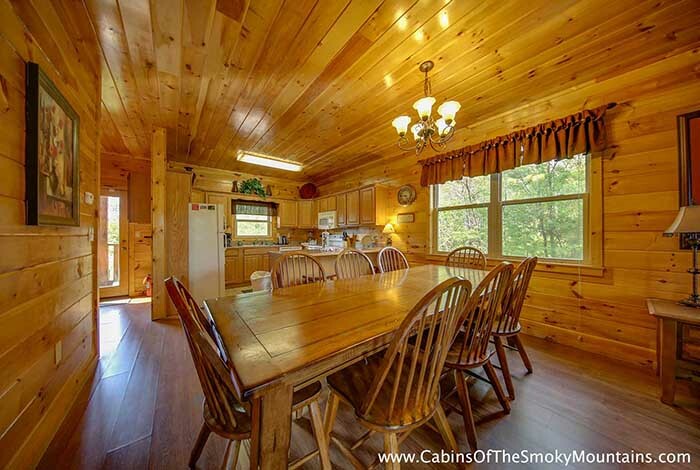 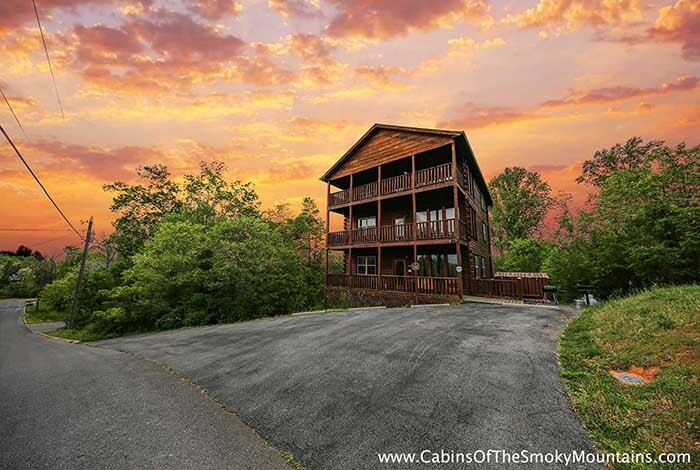 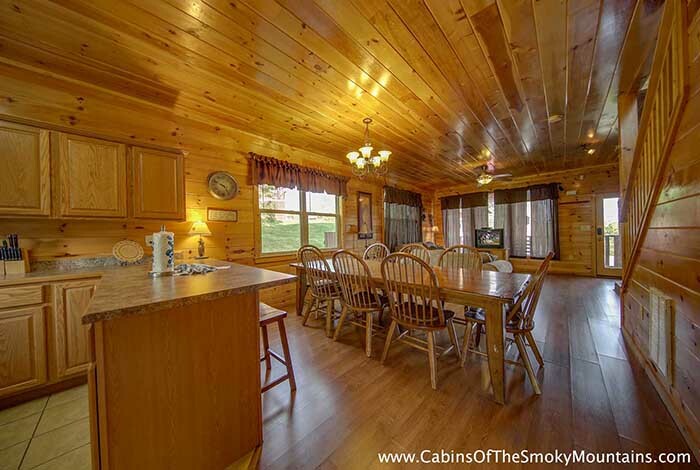 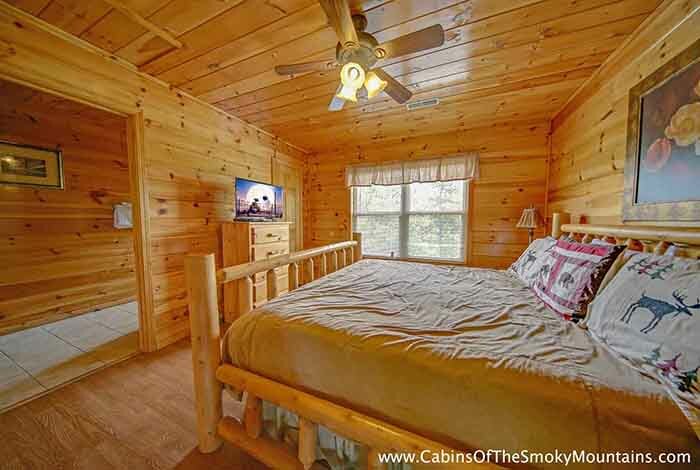 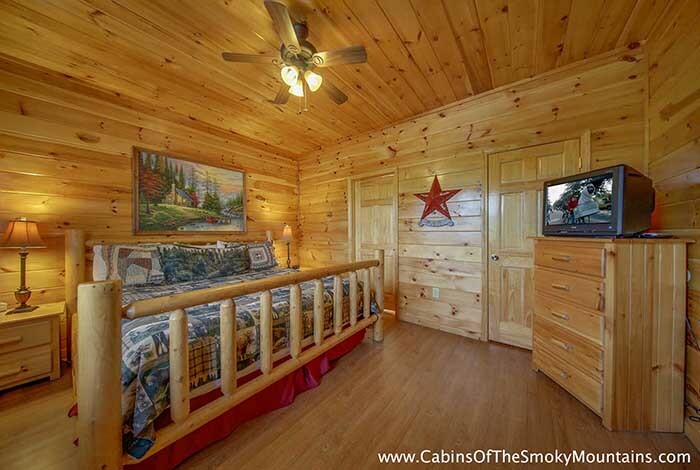 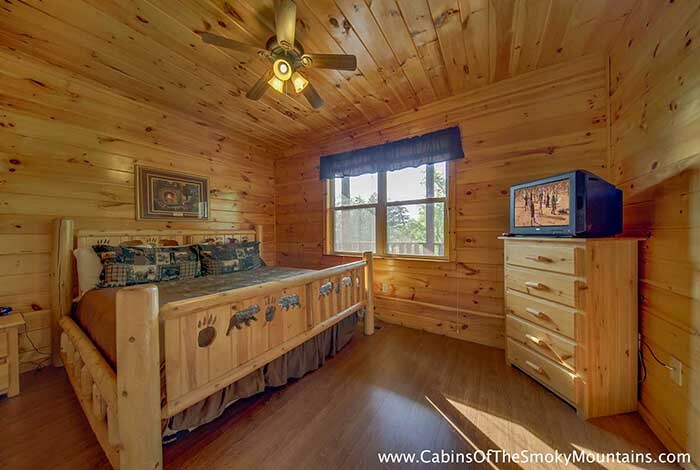 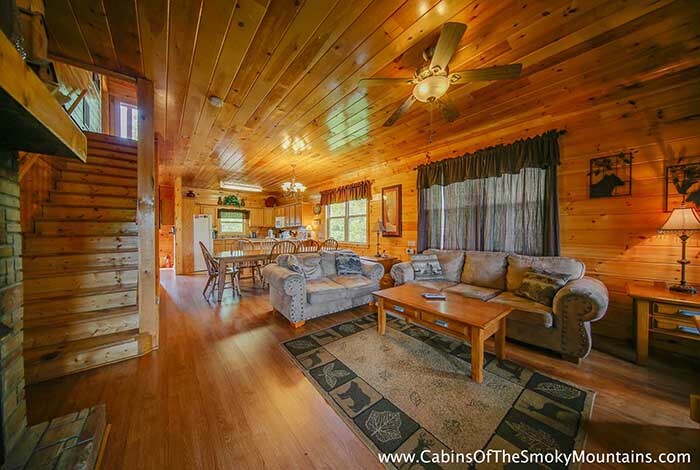 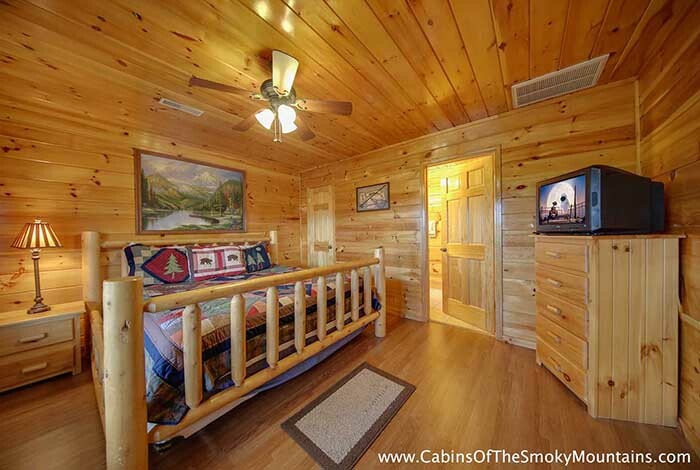 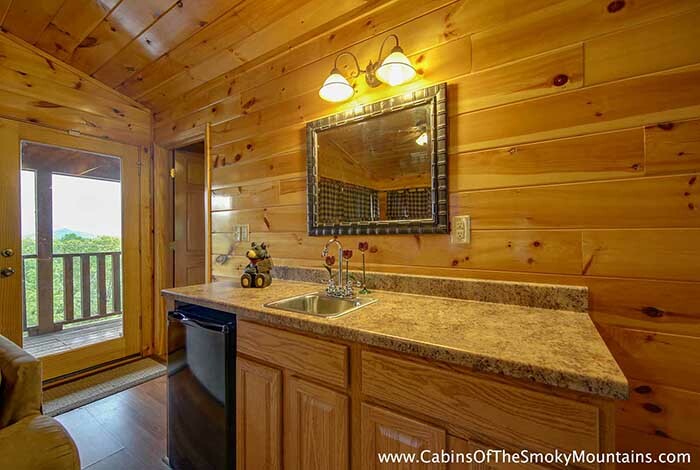 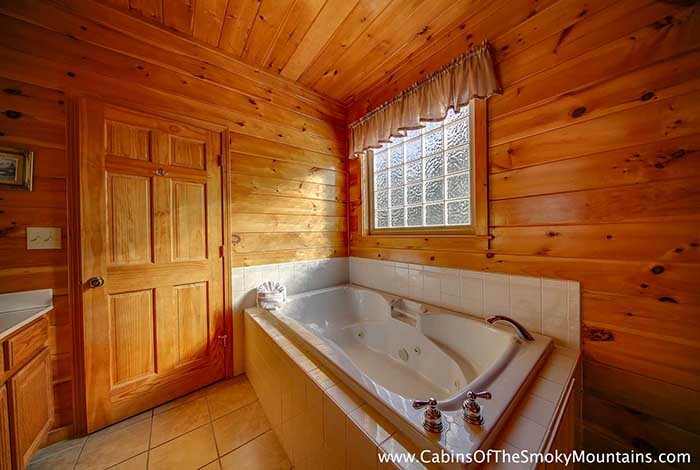 This magnificent 5,300 square foot cabin is conveniently located just minutes away from Dollywood, Tanger Outlets, and downtown Pigeon Forge. 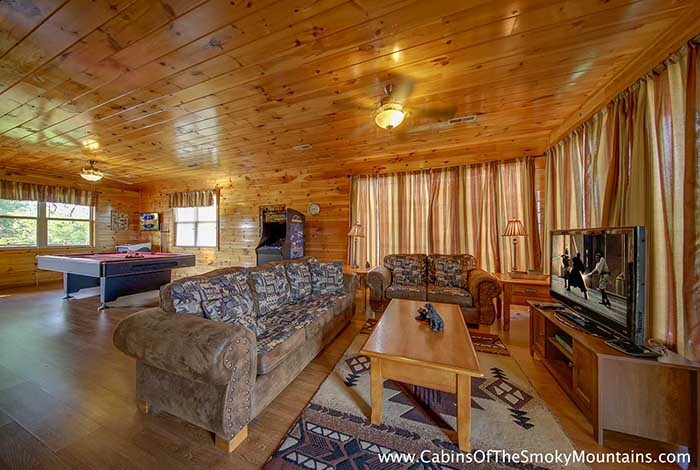 6 Suites Lodge is designed with privacy and fun in mind. 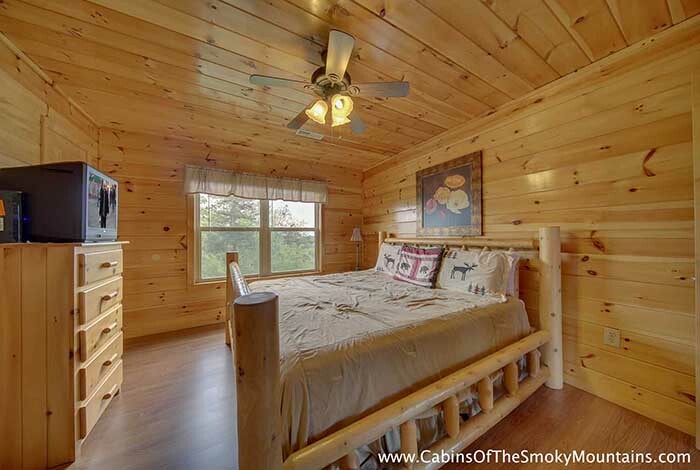 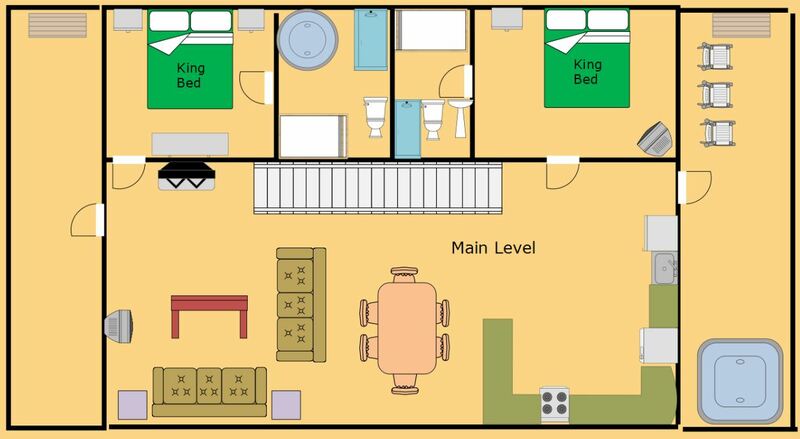 All bedrooms have king-size beds and their own private full bathrooms. 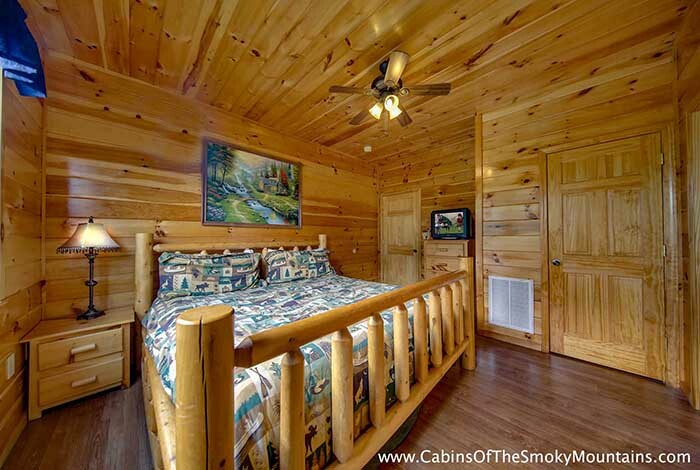 With 6 identical Master Suites, nobody has to "settle" for a room- they're all suites! 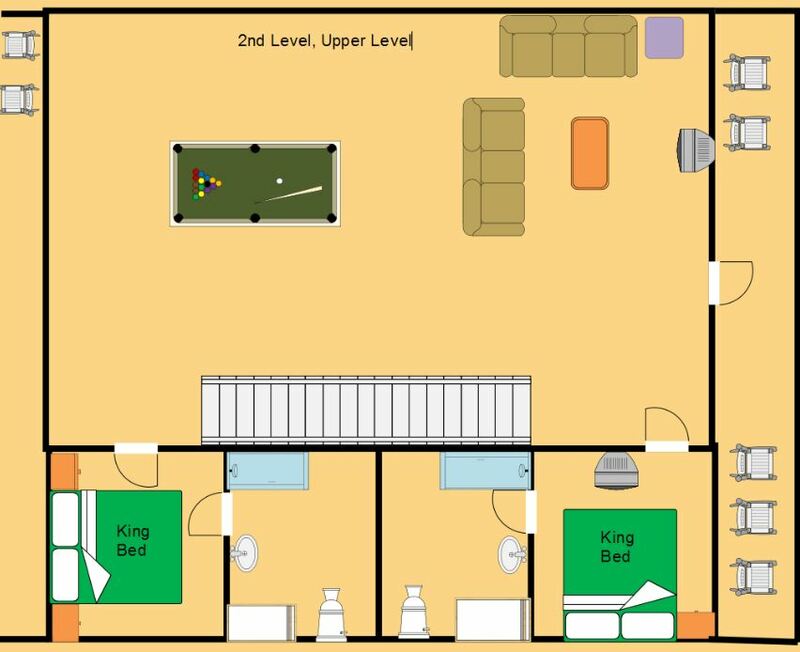 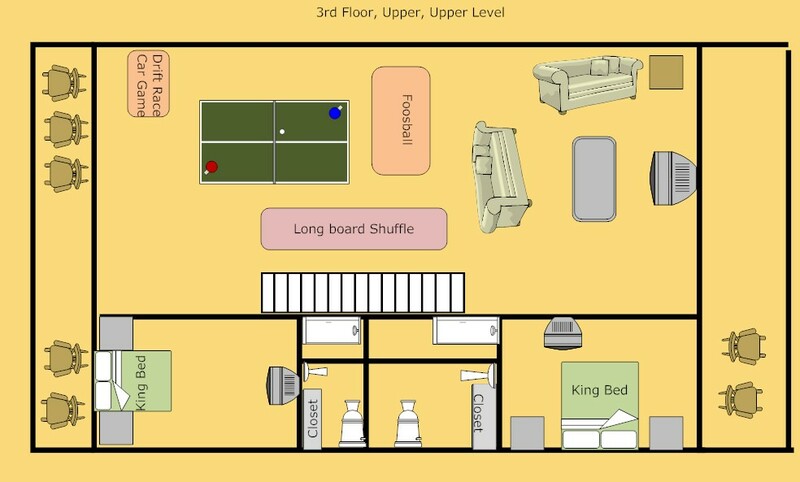 There are separate living areas on each of the three levels to provide plenty of room for everyone to have room to spread out and relax. 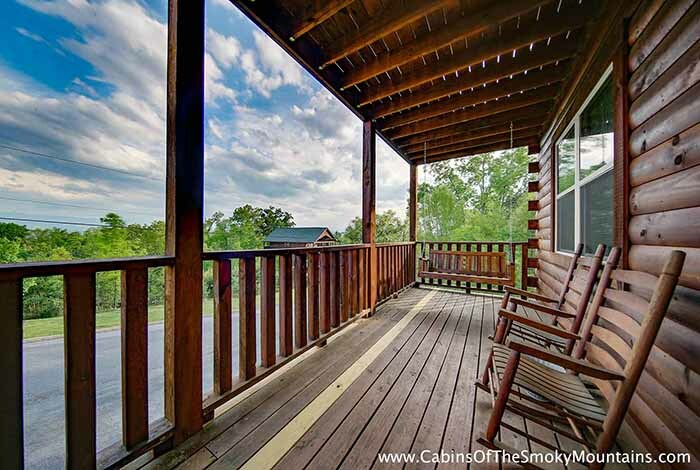 Enjoy the beautiful mountain views on any of the 6 decks the cabin offers. 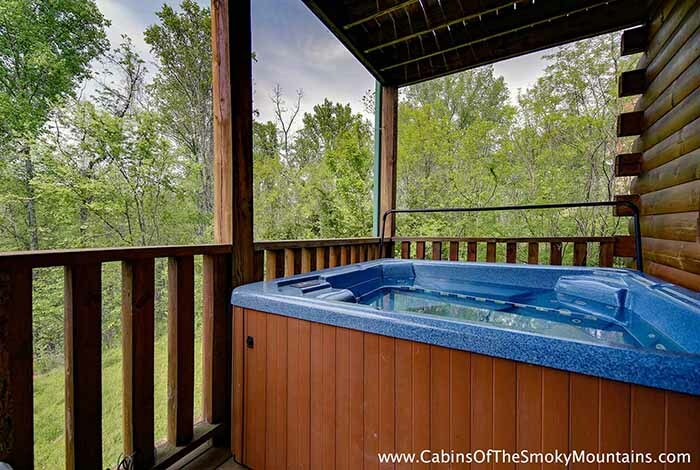 3 front decks face the gorgeous Great Smoky Mountain range, while the 3 decks off the rear of the cabin offer serene and wooded views. 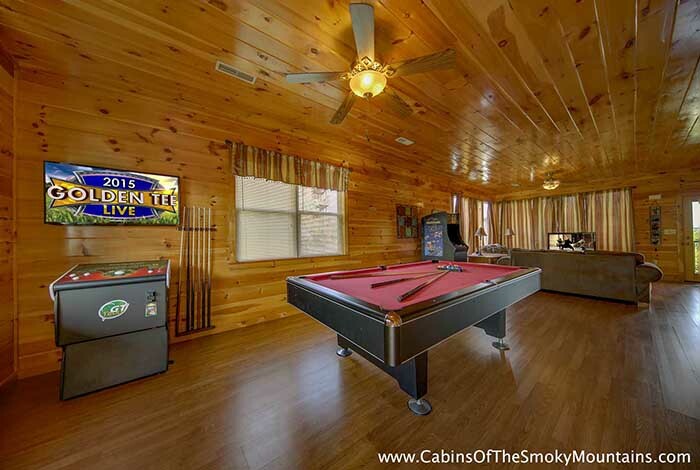 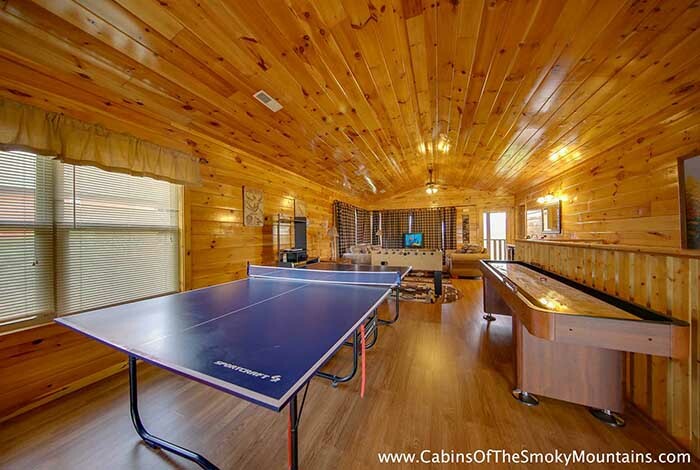 Loaded with tons of games and plenty of room to spread out and relax- you'll see why 6 Suites Lodge is a Smoky Mountain gem!